Have you been dreaming about creating your own special pieces of ceramics to use with joy and pleasure. Leave the everyday and immerse yourself in creativity. Learn the ancient craft of ceramics and how to transform clay on the potters wheel. This is a very hands-on workshop and Wendy takes care to ensure you quickly develop the basic skills to start creating. You will learn how to centre clay on the potter’s wheel, pull up the clay into cylindrical forms to create your own collection of beakers, cylinders and bowls. No experience is necessary. 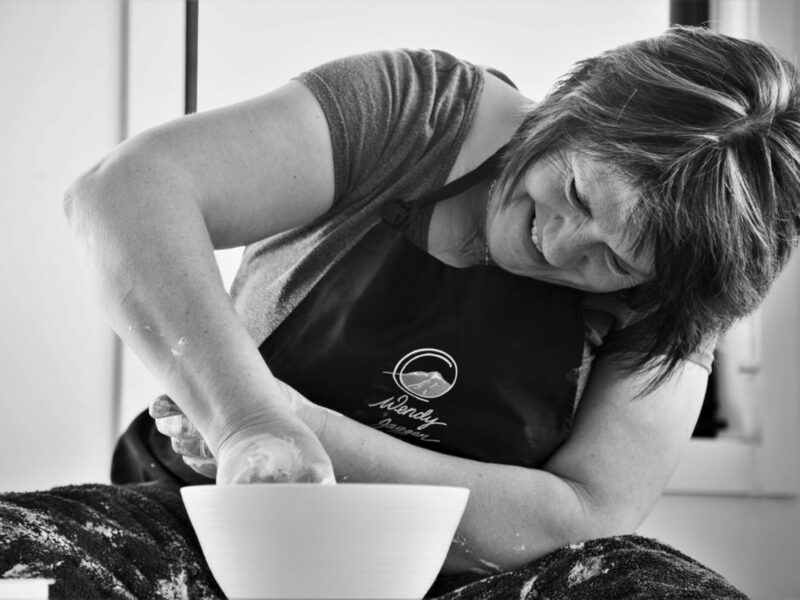 If you have thrown before, Wendy will analyse your skills and help you push them further.